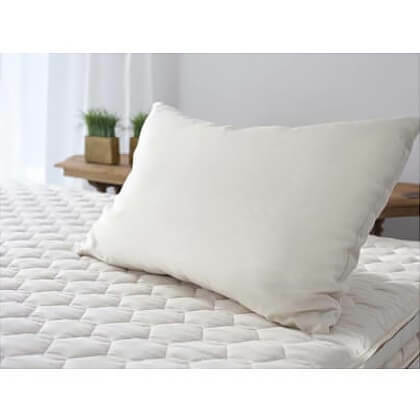 Like many of our pillows including our most popular shredded latex pillows, your new Savvy Rest wool pillow can be customized for your specific needs. It comes overstuffed. You can unzip the outer casing and remove any amount of fill you’d like to personalize your pillow for perfect support, comfort, and feel . You say you sleep hot? You will love the stabilizing temperature that this pillow’s organic wool provides. The improved airflow not only acts as a natural insulator from cold and heat, but also drier comfort because of accelerated moisture evaporation characteristics.